Epic Healthy Living Education Center summer picnic was held on Sun Sep 20th at half day forest preserve shelter C from noon to 5 pm. This is also our annual sponsor appreciation event. More than thirty sponsors attended our picnic. 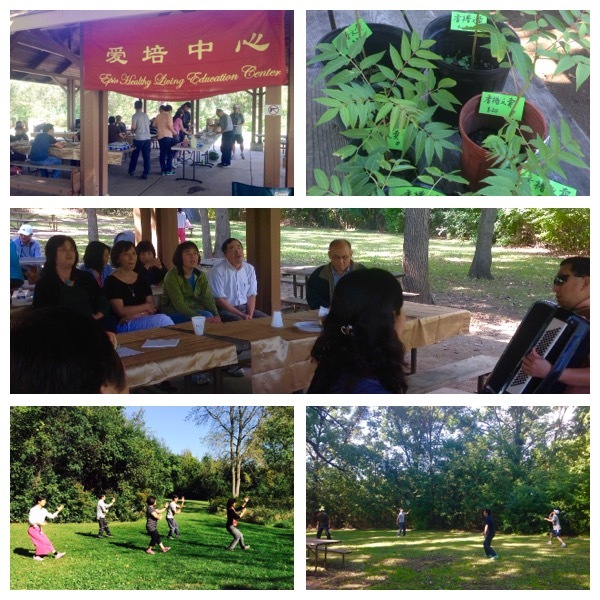 Members and sponsors had a fun afternoon playing sports games including badminton and volleyball, singing to old tunes that we all familiar, and strolling in the forest preserve. Tai-Chi students performed a complete 24-pose Tai-Chi.